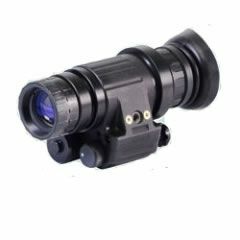 We pride ourselves in only offering our customers the very best that the worlds night vision manufacturers have to offer. "White phosphor XG tubed dedicated rifle scope." "Handheld long range thermal imager." We've been involved with Night Vision since 2003 and our website hadn't changed much in all that time so we thought it was overdue a makeover. 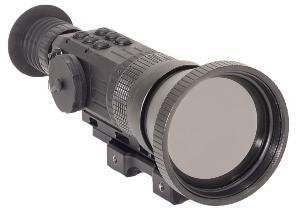 With our new store we are bringing you all the very best night vision products that are available. Only the best makes it in here and if we don't have it, then it didn't pass muster. In all our experience with using night vision we know that you should always buy right, buy once. Subscribe to our mailing list for latest news, product launches and special offers. Receive your order for FREE! Will you be one of the lucky customers to receive their order absolutely free of charge? We always check our pricing to ensure we are competitive and offer our customers the very best value. General Starlight Company products now available in the UK. We are really pleased to add the full range of GSCI's Image Intensified and Thermal Imaging products to our range. We are particularly excited about their thermal rifle scopes, in both dedicated and clip on formats with an incredible resolution of 640x480 which is a four fold increase over anything else on the market. This is serious equipment, for serious shooters at serious prices! But again you can buy right, buy once backed by GSCI's amazing 7 year warranty! GSCI have been in the business of electro optic design and manufacture in Canada for 22 years.